At Art Van, we believe that sales is one of the most honorable, fun and fulfilling careers available. 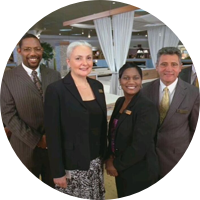 Join one of the leading sales teams in the Midwest who take pride in their profession and work to make a difference in the lives of our guests. At Art Van Furniture, you’ll do more than just sell furniture—you’ll sell memories. As a Sales Professional, you’ll have the opportunity to work one on one with our clients to define the look and feel of their home. Your eye for style and customer focus will help our guests design their dream home from top to bottom. 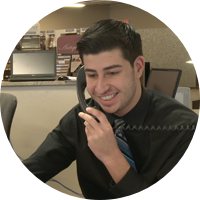 As part of the Art Van Flooring sales team, we look to your previous flooring sales experience to help WOW our clients. You will work closely with our guests to understand their needs and offer products that fit their budget and style. We look for individuals who are project minded and work well with guests during the sales lifecycle and beyond. After all, referrals are the best way to grow your business! 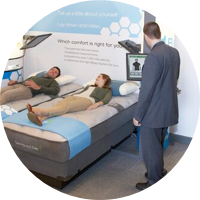 Our PureSleep Sales Associates are not just passionate about helping clients find a new mattress, they are dedicated to improving the health, sleep, and quality of life of each of our guests. We look for individuals from a variety of retail backgrounds. We place high value on giving you the tools to educate our guests on the importance of sleep so you can excel in your role. We ask that you bring a positive attitude, warm personality and entrepreneurial mindset. You should have an interest in style and design and be open to a fast paced, retail environment. This 15 week program is open to new college grads, existing retail managers and excelling sales associates who want to fast track their sales management career.